Providing our patients with thorough and detailed eye health and vision examinations while ensuring they receive quality eye wear that is valuable, fashionable, and safe, with honourable, honest, and respectable treatment of our patients. At In Focus Eye Care, our doctors and staff are the most important resource in our service commitment to our patients. By applying the principles of trust, honesty, respect, integrity, and commitment, we nurture and maximize talent to the benefit of each individual and the company. In Focus Eye Care fosters a work environment where diversity is valued, quality of life is enhanced, and individual aspirations are fulfilled. 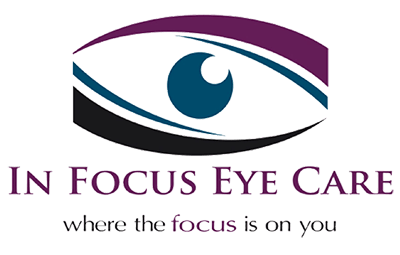 In Focus Eye Care is a place where the genuine care and understanding of our patients is our highest mission. We pledge to provide exceptional eye care and quality eye wear with honesty and respect. The In Focus Eye Care experience educates and informs, is fun and not pushy, instills well-being, and fulfills the needs of our patients. At In Focus Eye Care “We are eye care professionals committed to providing our patients with exceptional eye care and quality eye wear with honesty and respect”. This motto exemplifies the exceptional service provided by all staff members.